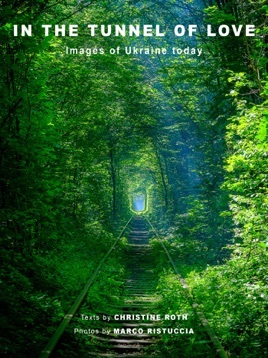 The Tunnel of Love in Klevan (Northwest Ukraine) has become known in recent years as an Internet phenomenon and is now considered one of the most romantic tourist destinations in the world. 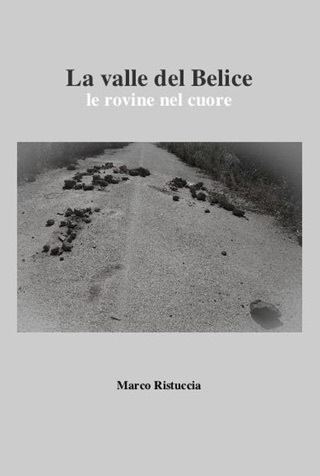 - The authors were on site, searching for romance, and portrayed the visitors as well as the tunnel with its contradictory history. 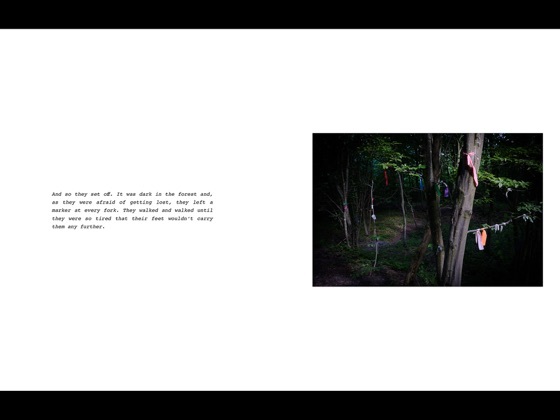 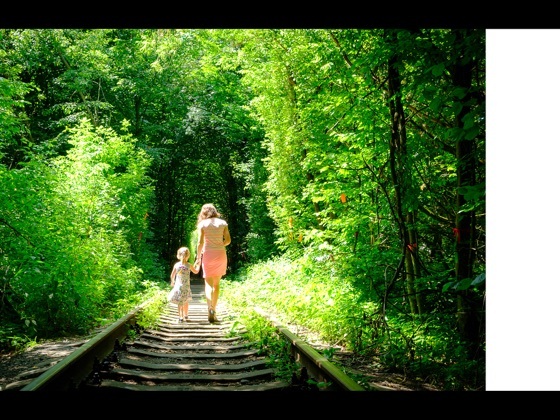 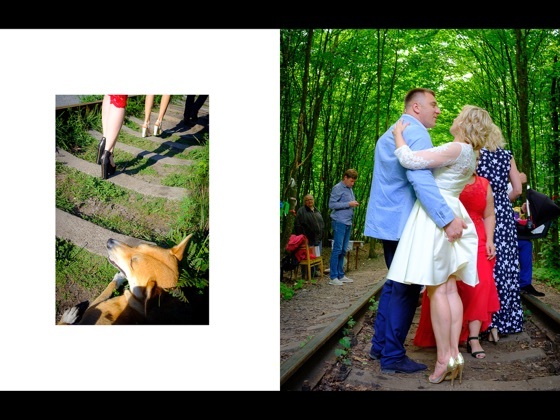 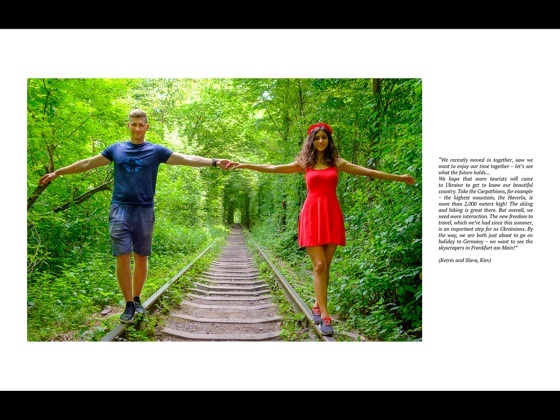 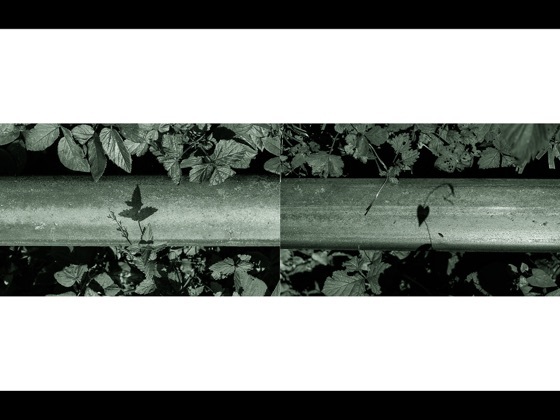 With 124 pages, 95 photos and numerous texts, this photography art book deals with several aspects of the leafy tunnel in 5 chapters: atmospheric pictures convey the fairytale atmosphere; a large report and interviews with Ukrainian couples illustrate the current situation of Ukraine; an unexpected discovery tells of the painful past.